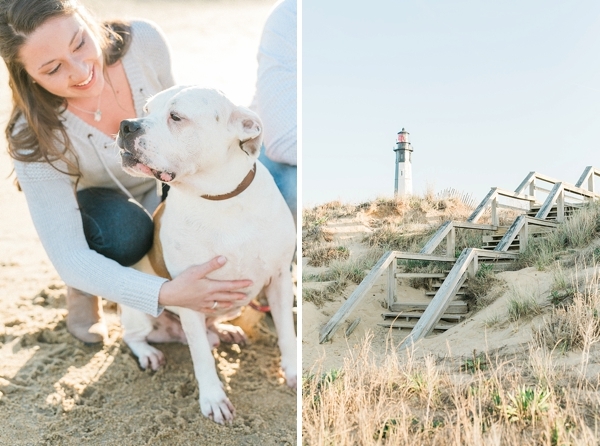 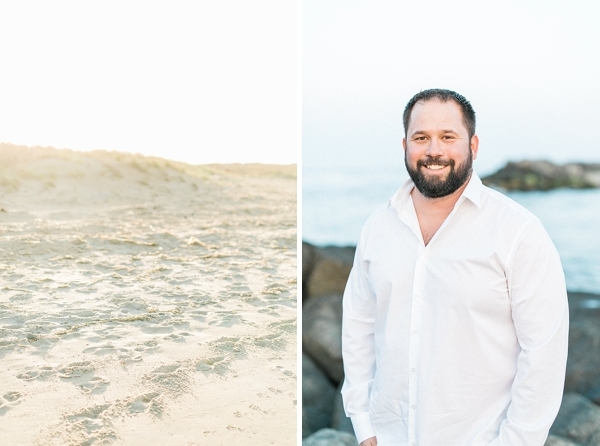 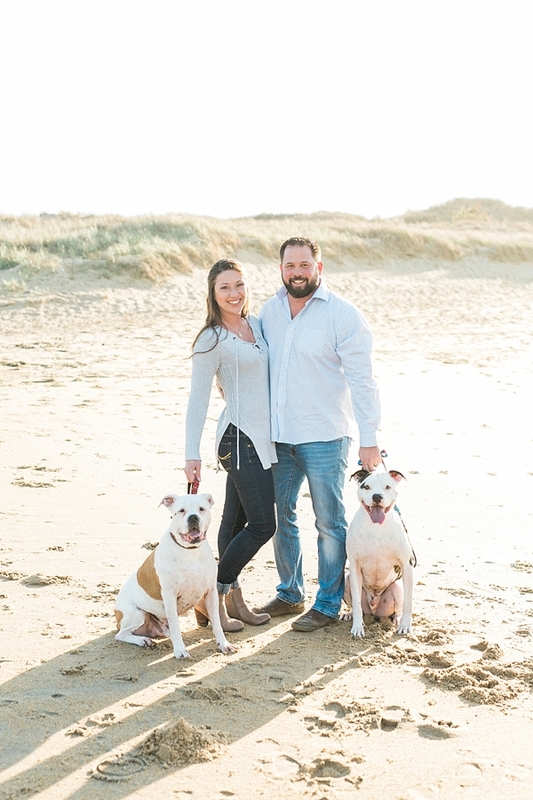 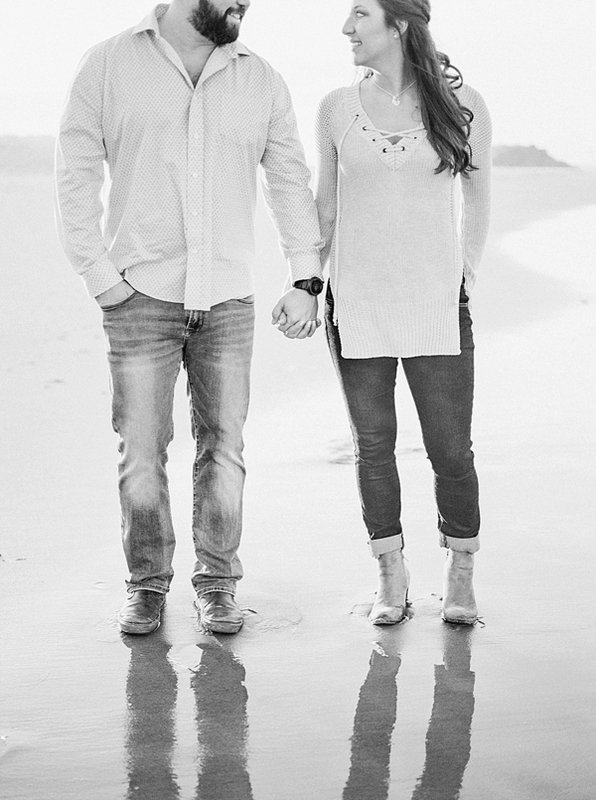 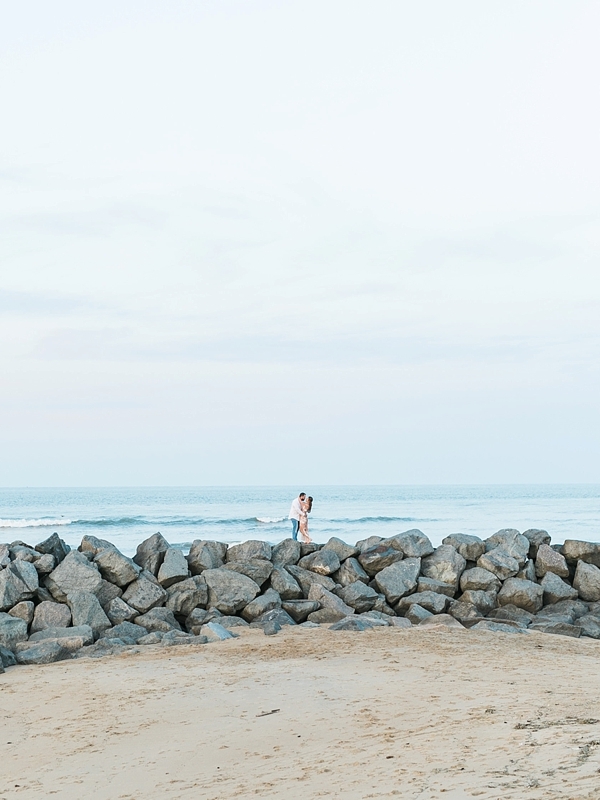 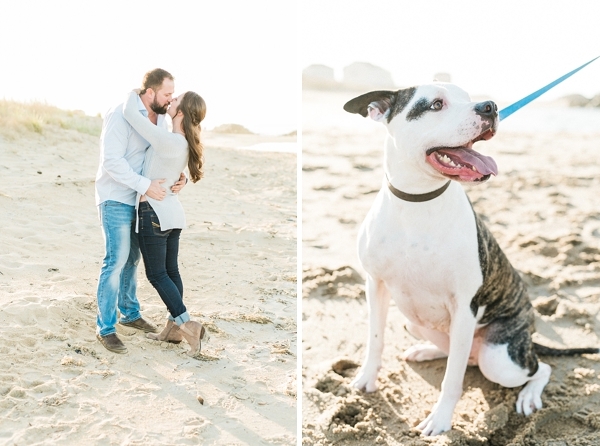 Before they relocated from Virginia Beach to Washington state, Justin and Catherine knew they wanted some special last memories with their pups, Dozer and Axel, on the East Coast while celebrating their marriage. 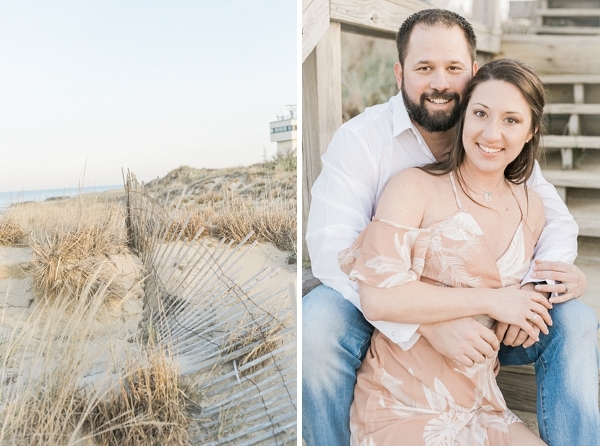 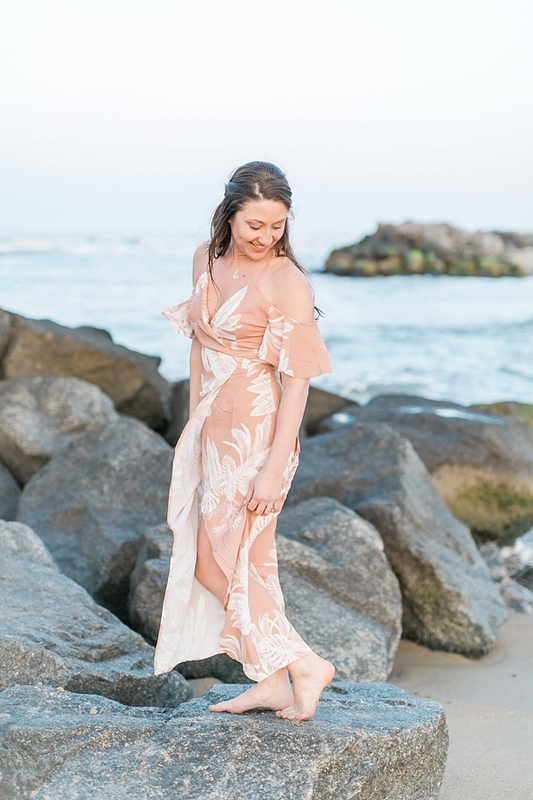 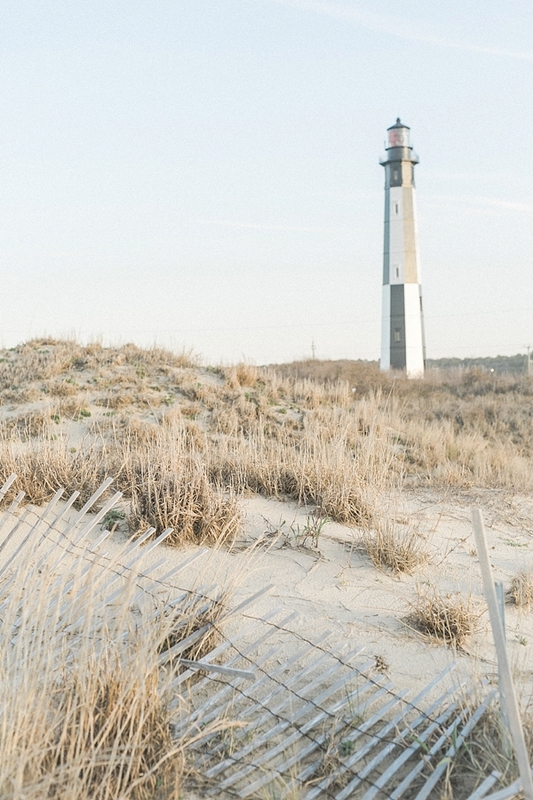 With their photographer Mandy Ford in tow, they headed to one of Virginia Beach's iconic beach sites, the Cape Henry Lighthouses at Fort Story. 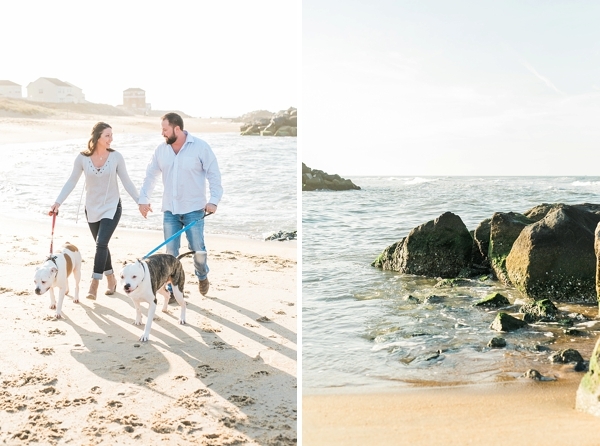 Mix two energetic goofy bullies with warm glowy light on the beach, and you have the makings of a perfect afternoon together! 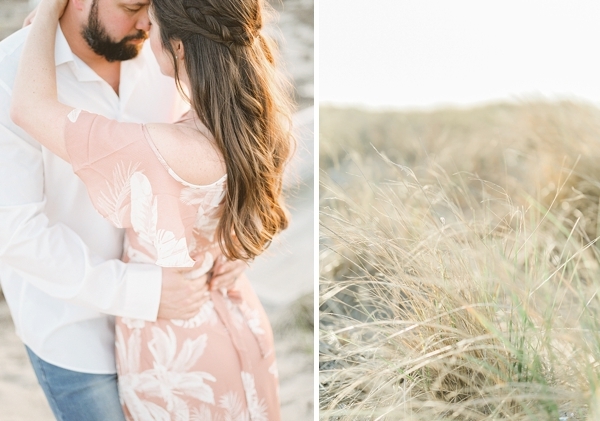 With a casual chic cold shoulder maxi dress and sweater tunic outfit change, Catherine exuded all the best style befitting of coastal vibes while Justin complemented her in his dark wash jeans and relaxed button-up shirts. 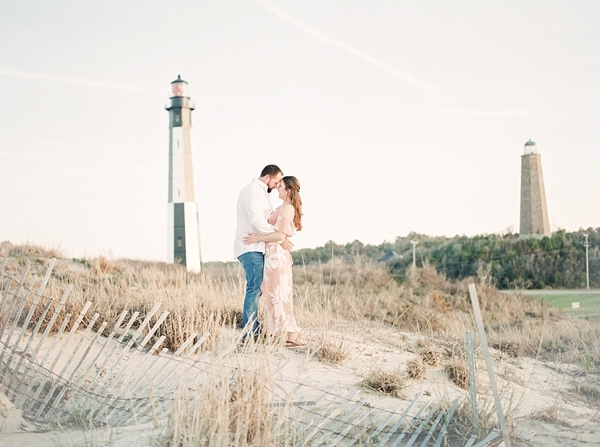 We love any chance to celebrate these kinds of married days!